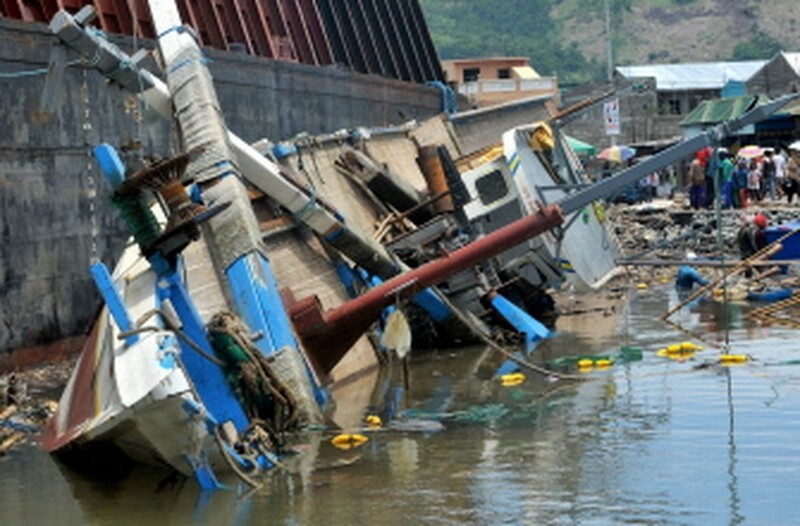 MANILA, July 20, 2010 (AFP) - The death toll from Typhoon Conson in the Philippines rose to 76 on Tuesday as rescuers pulled more bodies from the sea, with dozens more still missing and feared dead, authorities said. The number of missing stood at 72 as coast guard and navy boats were joined by aircraft in scouring the waters nearly a week after the typhoon hit, the National Disaster Coordinating Council said. "The search and rescue operations are still going on, as long as there are still people missing," said Relan Asuncion, section chief of the civil defence office. The death toll was up from 68 but the number of missing was down from Monday's earlier report of 84, authorities said. Asuncion told AFP that aside from the additional bodies being found, the number of missing was falling as field units removed the names of those who had been listed twice. Conson slammed into the country on July 13, directly hitting the capital Manila as it cut westward into the South China Sea with a ferocity that caught weather forecasters by surprise. It caused massive power outages across Luzon, toppled power lines, uprooted trees and destroyed thousands of homes. Days later, the damage caused by the storm was still being counted with over 2,000 people still sheltered in evacuation centres, the government said. In China the storm killed at least two people, and left one dead and about a dozen missing in Vietnam.